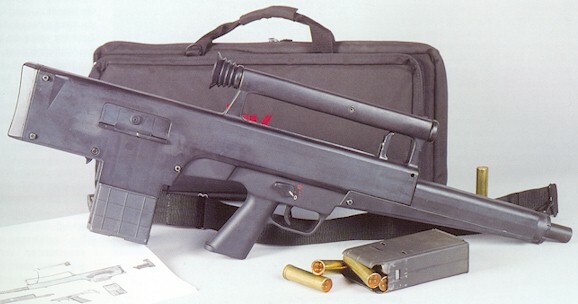 Looking like a cross between a G11 and a Steyr AUG, the HK CAW is the result of an effort by HK and Olin/Winchester to produce an automatic shotgun with greater range and more firepower than a conventional shotgun. 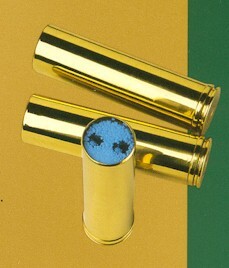 The CAW used a special belted brass case ammunition developed by Olin/Winchester that drove the tungsten alloy buckshot at a higher velocity than possible with conventional ammuniton, in the desire for greater range. This ammunition would not fit in conventional shotguns either, for obvious reasons. 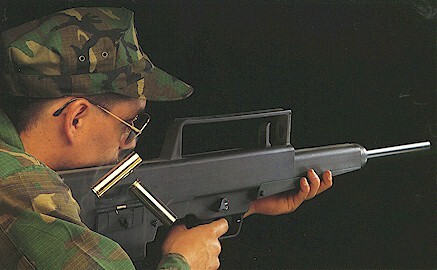 With a conventional box magazine in bullpup configuration, the CAW held 10 rounds. The barrel length was 18 inches, and weighed in at a hefty 9.5 pounds. 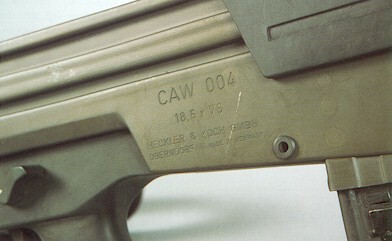 The CAW was capable of both semi and full automatic fire. In automatic mode, cyclic rate was reported to be 240 RPM. I refer to the CAW in the past tense, because I know of no plans for production that ever came to fruition.